Morgan was one of two students who represented Jamaica at the 2003 GTTP Student/Teacher Conference in Germany. Today, after earning a scholarship and a degree in Computer Science and Mathematics, he manages to juggle a full-time career as a software engineer while studying part time for a law degree, and managing the travel website he created, www.idreamtravelbook.com. Also on his schedule is a full program of community involvement activities. And he stays in touch with some of his GTTP friends, including Dalma Antik, who is also profiled in this section of the GTTP website. To give you a flavor of how one GTTP student has spent the past 8 years, here is the full resume/curriculum vitae Sam shared with the GTTP. Samuel is an active member of his community and since high school has volunteered his service in a number of areas. In 2004, he worked with the External Affairs Committee of Chancellor Hall, UWI to create and operate an academic clinic within the community of August Town, Jamaica. At this academic clinic, Samuel volunteered his service for 2 months as a teacher of CXC Mathematics to more than 10 adults who wanted to continue their education. This program caught the attention of the Minister of Finance, Dr. Omar Davies who consulted with the team in the creation of a similar program within his constituency. Between 2000 – 2003, Samuel served as National President of the Tourism Action Club, an affiliate of the Jamaica Tourist Board with over 50 chapters islandwide. Among his achievements during his tenure are the reforming of the club’s constitution, the creation of 10 new chapters islandwide, and the planning and execution of a beach cleanup project at the Gun boat beach in Kingston. In 2003, Samuel participated in the Presidential Classroom Future World Leaders Summit in Washington DC, where he was introduced to the fundamentals of US and global politics. This trip involved visits to the White House, the Capitol, US department of State and a number of Embassies and military locations. At the Summit, Samuel was a leader in his working group and helped to produce a mock resolution on International Aid. Later in 2003, Samuel was one of two who again represented Jamaica at the GTTP Case study conference in Frankfurt, Germany where he presented a thesis entitled “Sustainable Tourism Development in Port Royal Jamaica”. 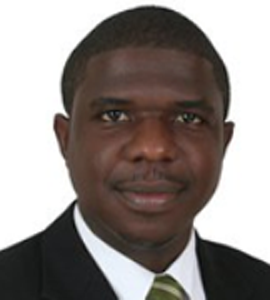 Between 2005 – 2006, Samuel served as faculty representative for the faculty of Pure and Applied Sciences at the UWI. As faculty representative, Samuel earned the respect of his peers when he successfully represented 120 mathematics students who were victims of University maladministration in a heavily publicized ordeal. In 2005, Samuel was appointed Mobilization Chairman of the Jamaica National Preparatory Committee, and was crucial in mobilizing Jamaica’s participation in the 16th World Youth Festival in Caracas, Venezuela. Samuel has been an active participant in ICT for Development discussions. In 2003, he was one of two Jamaicans selected to participate in the ITU Youth forum in Hong Kong China, which produced a declaration on how ICTs should be used for development. In 2009, he was one of five youth selected from over 30 candidates worldwide to participate in the ITU World Telecommunication Policy Forum in Lisbon, Portugal where he sat alongside Global technology leaders, Telecom Ministers and the ITU Secretary-General reviewing and formulating global Telecommunication policy. This policy became known as the Lisbon Consensus. He was selected based on a video he created introducing a quadrantmodel for ICT for Development initiatives. Later in 2009, he again traveled to Geneva, Switzerland where he presented at the ITU World Telecom Youth forum as a speaker on using Web 2.0 for development. Samuel is a past student of both Wolmer’s Boys’ and Ardenne High. He was President of the Wolmer’s Boys’ Student’s council and represented both schools in the televised school’s challenge quiz competition. He holds a bachelor’s degree in Computer Science and Mathematics from the University of the West Indies (Upper Second Class Honors, 2003 -2006). At the UWI he was the recipient of the distinguished UWI Open scholarship for top performance in the scholarship examinations. He is currently pursuing a Bachelor of Laws with the University of London International program. His hobbies include swimming, aviation, and playing the guitar.